When it comes to choosing a university to enroll in, there’s nothing like a good story to put a face behind a name giving you a better understanding of the history of a school and something to tell your children about. 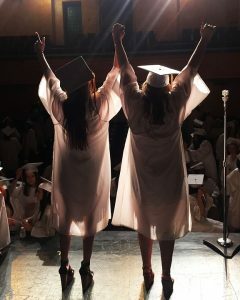 In turn, you’re giving them something to be proud of as they may consider your alma mater to attend, and quite possibly carrying on the family tradition of a good education! Led by Dr. Maria C. Regueiro, her late husband Dr. Jose Regueiro, and Mr. Omar Sanchez, this dynamic trio started what we now know as Florida National University (FNU) with ingenuity, determination, and grit. 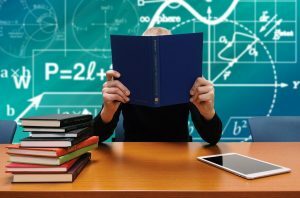 Starting a higher learning institution is not an easy thing to do and is certainly not for the faint of heart! There are many steps to take and hundreds of steps within those steps! Writing a business plan is just the very first part of a massive project that others may have thought was impossible for these three to achieve. Yet, despite any obstacles that may have come their way, they opened the doors to their first class as Florida International Institute on January 4, 1988. 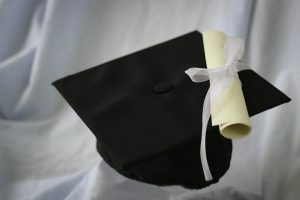 Back then, they offered degrees in business, computer technology, electronics, medical, paralegal, and travel programs. Starting out the New Year with much success, the enrollment numbers for Florida International Institute continued to grow. Located at the center of Hialeah, Florida, the founding administration recognized the ever-present need to bring more educational opportunities to their community and even the South Florida region. To do this, the curriculum had to be slightly modified. Some educational programs had to be dismissed and others were enhanced. And They Just Kept Growing! In just one year, the Hialeah campus, now referred to as the Main Campus, had to expand. With the adjustment in curriculum along with their second location in Miami that was established March 3, 1989, Florida International Institute became known as Florida National University. The very next year—almost to the exact date, a third campus in Miami was established on March 5, 1990. Even before officially becoming Florida National University, this institution has held several success stories. In March 2017, a month that appears to be significantly impactful for FNU, alumni—Ricardo Sanchez, a Conquistador graduate for almost three decades—back when they were Florida National University, returned to his alma mater as a successful Dental Technician…and as a student. Graduating from what was then Florida National University, Sanchez recognized his own need to improve in his profession while working at Leal Medical Center in Homestead, FL. Now, proudly standing as a regionally accredited educational institution throughout the South Florida region, Florida National University welcomes Sanchez and any aspiring students in the community—and even the world with open arms. FNU is fully equipped to prepare students for success academically and professionally. We award master, bachelor, and associate’s degrees to students who complete the required credit hours for the respective program they choose to enroll in. We also offer non-credit continuing education program certificates and diplomas for aspiring students and professionals who many not have the time to commit to a full degree program, but could certainly use some formal educational training. FNU offers continuing education courses like Patient Care Technician, Dental Laboratory Technician, Medical Assistant, Dental Assistant, Clinical Echocardiography and more! For professionals who are looking to expand their academic learning, Florida National University can now offer graduate certificates. The credits in these graduate certificate programs are transferrable to any of our full master degree programs in Business Administration, Health Services Administration, Nursing, and RN to MSN. Many master graduates have found these certificate programs highly beneficial as it broadens their skillset in an area that may not have been an option during their undergraduate studies. As a regionally accredited university, Florida National University also offers distance learning programs giving students the flexibility to take classes off campus. This is something that could not be done as a college or as Florida International Institute. As a university, we’re not only able to offer a quality education to students living in the South Florida region, but also the entire southern region and even beyond that. Our online learning degree programs gives students the opportunity to earn a college education while holding a full time job and managing other life responsibilities. FNU Has an Athletic Department! Another great benefit that Florida National University is now able to offer to students that we wouldn’t have been able to do as a college is an athletic department. This is a major accomplishment for the university as sports tend to be the driving force of bringing people together while also serving as another academic vehicle toward educational excellence. As part of the United States Collegiate Athletic Association, our athletic division is comprised of men’s basketball, baseball, and women’s volleyball and soccer. Our university wholeheartedly believes that implementing a sports division contributes to the development of a well-rounded education. 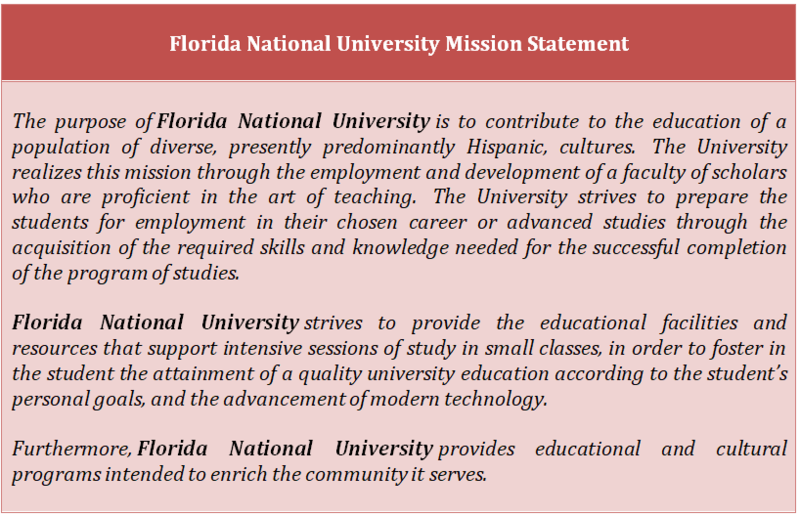 Through discipline, integrity, leadership philanthropy and social responsibility, students of Florida National University will be able to elevate ethnic and cultural diversity. Through structured sports, the university is certain that the camaraderie and team spirit will be a source of pride for the student population, the alumni, the university, and the surrounding community. Florida National University also has a financial aid department. Here, we help students determine whether or not they qualify for a federal student loan, Pell Grant, or scholarship. 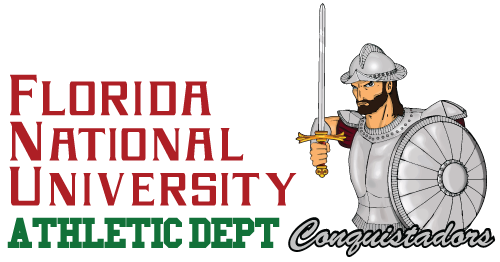 Standing “Hialeah Proud” as Florida National University Conquistadors, we’ve come from humble beginnings, but our university stands as evidence that you can achieve The American Dream! However, our story isn’t over and neither is yours! Our campus is steadily growing and we’re always acquiring the latest technology to ensure that our graduates are ready for the professional workforce. Be part of our success and enroll in one of our degree programs today! Come visit any one of our campuses in the South Florida area and speak to an FNU advisor today to start the enrollment process!